Every year, restaurants, studios, carpet cleaning franchises, and a host of other businesses look eagerly for the release of the franchise industry’s premier ranking – the Franchise 500. 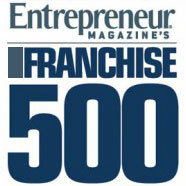 For thirty-eight years, Entrepreneur Magazine’s Franchise 500 has given business people insight into the world of franchising. This listing evaluates franchise businesses based on over 150 different factors. They consider things like costs and fees, size and growth, levels of support, the overall brand strength, and the financial strength and stability of the company. It’s a thorough evaluation, and Oxi Fresh is proud to have made this prestigious listing for the ninth year running. This year, we came in at #355 overall. “We’re always proud to see our names on the Franchise 500,” said our Vice President, Kris Antolak “It’s both a prestigious and long-running part of the franchise industry as well as a vital tool for business people looking to invest in their future.” Beyond the overall ranking, Oxi Fresh’s carpet cleaning franchise opportunity was also named the 56th Top Home-Based Franchise and 42nd Top Low Cost Franchise. “It’s always good to be recognized for our low-overhead model,” said Jonathan Barnett, the company’s president, “We built this business to be economical and flexible so it could empower franchisees to pursue their financial dreams and goals.” Oxi Fresh’s model is certainly built with entrepreneurs in mind. The low initial investment of $33.9K includes a protected territory of up to 110,000 households, an equipment and product package, full access to Oxi Fresh’s powerful business platform, and representation in the company’s Scheduling Center. “When you join Oxi Fresh, you’re joining a company that wants to enable you to grow,” said Mr. Antolak, “Our Scheduling Center answers your calls so you can stay focused on growth. Our software gives you rapid and automated insights into your business so you can find ways to expand. The protected territories ensure that you can focus on business development and cooperation with your Oxi Fresh neighbor instead of worrying about internal competition.” Oxi Fresh was also recently ranked in the Franchise Business Review’s Top Franchises Report for 2017. Unlike many other franchise lists, the FBR’s report is based entirely on franchisee surveys designed to calculate a Franchise Satisfaction Index. To learn more about that ranking, click here. 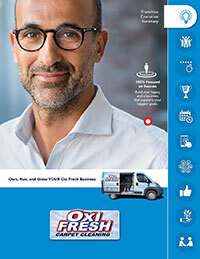 To learn more about Oxi Fresh’s new ranking with Entrepreneur, go to: www.oxifresh.com/news/oxi-fresh-carpet-cleaning-ranked-franchise-500-ninth-year- running. To learn more about our carpet cleaning franchise opportunity, www.oxifreshfranchise.com. To see what Oxi Fresh could do for the carpets in your home, go to www.oxifresh.com.